Have you ever wondered what motivates people to buy your products or services? It’s no secret that your offerings likely satisfy one or more of their needs. But how do consumers’ underlying attitudes, values, and lifestyles impact their purchase decisions? Why did they choose your products or services over a competitor’s offerings? The answer to that question lies within the field of psychographic marketing — and it’s extremely valuable. Understanding psychographics allows marketers to better understand and influence consumer decisions. In this post, we’ll explore the definition of psychographics and how you can use psychographic segmentation to reach more customers. Psyched to learn more? Just keep reading! Some people confuse psychographics with demographics. Demographic data includes variables like age, gender, and income. Psychographic information includes the deeper cognitive and psychological factors that motivate behavior. In other words, demographic data shows who your customers are, and psychographic data helps you understand why they purchase. When marketers use psychographics to understand how people think and what motivates them to act, they can develop messaging strategies that resonate with people in their target market. In addition, psychographic marketing allows you to personalize messaging and materials to individual consumers. An outdoor company wants to ramp up promotion for a new line of backpacking equipment. The company uses demographics to target consumers in their 20s to 40s with enough expendable income for backpacking trips. They even focus their targeting on people who live within a certain radius of their store. However, demographic information alone doesn’t provide a complete picture. A lot of people who fit the targeted demographic profiles would much rather curl up on their couches to watch Netflix than embark on backpacking trips. Even if they are young and make enough money to go backpacking, they aren’t going to purchase if they don’t enjoy hiking and spending time outdoors. With psychographic marketing, the company can take their targeting a step further to identify and reach people who enjoy spending time outdoors and value spending money on experiences like backpacking. 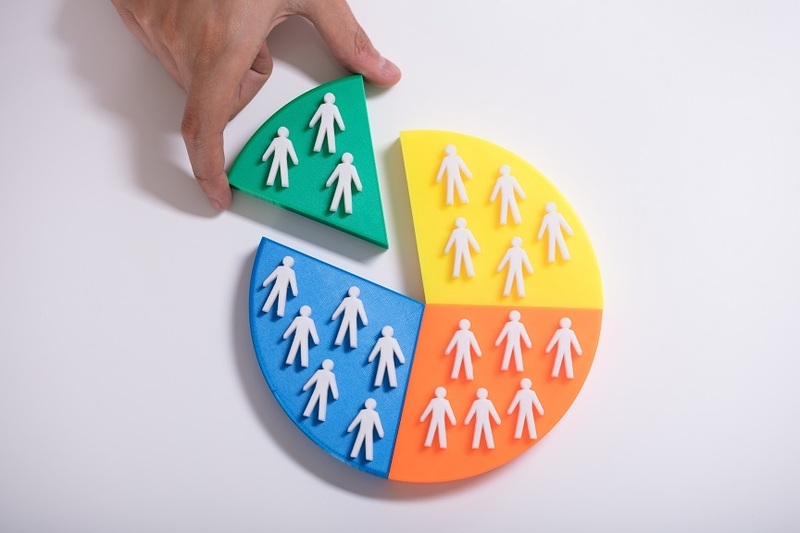 If you want to tailor your marketing to reach people who are most likely to purchase, you need to use a combination of demographic and psychographic targeting. In addition to traditional methods like focus groups, you can use numerous online tools to gather psychographic data. Sending surveys to email subscribers or following up with customers post-purchase allows you to gather psychographic information that helps you build more complete marketing personas. You can tailor your questions to obtain valuable information about your audience’s interests and opinions. Then, you can adjust your offerings and marketing materials to match. 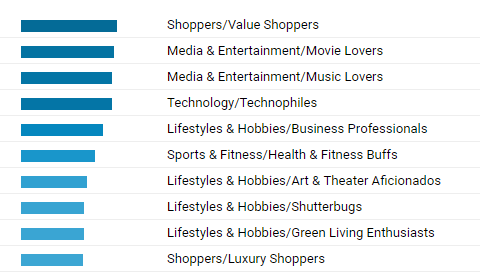 Google Analytics Interests and Demographics reports can provide you with information about audience interests, as well as demographic information like age and gender. You can combine this information with browsing data to identify information that interests your audience. Interacting with followers on social media can also provide you with valuable data about their attitudes and interests. When people comment on your social media pages or mention your brand online, take note of their thoughts and opinions, and use that information to better shape your marketing campaigns. Using data from these sources allows marketers to develop psychographic segments and tailored messaging to better connect with each group. In addition, you can use psychographic data to hone in on your most valuable segments. So how can you use psychographic data to segment consumers? Here are some segments you’ll want to consider. Google Analytics Interest reports can shed some light on the interests of your site visitors. For example, you can view conversion rates and ecommerce data by interest categories. This allows you to identify the interests of your top customers and incorporate those interests into your marketing materials. If you’re looking to incentivize your next contest or referral program, you can use psychographics to choose prizes related to the interests of your audience. Offering incentives people actually want motivates them to take action, which is a win-win situation for your business. Paying attention to customer interests can also help you identify topic ideas for your website content. For example, if your company learns that a large segment of your audience is interested in environmentally-friendly products, you can create more content related to that topic and tout your eco-friendly products. 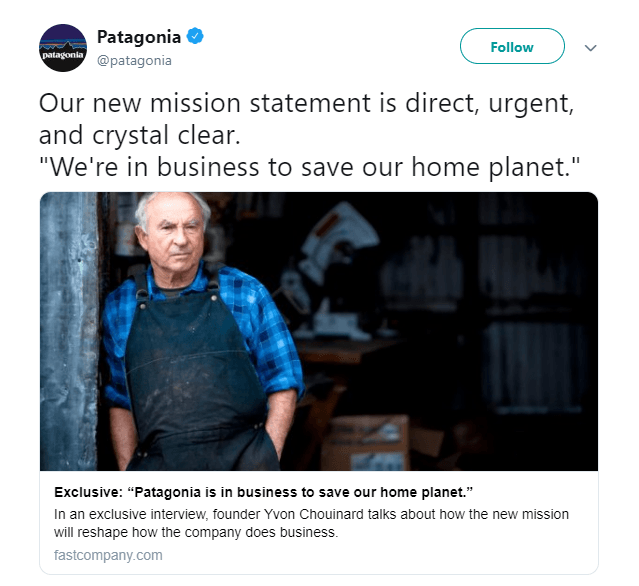 For example, Patagonia does a great job of resonating with their environmentally-friendly audience by creating content that spotlights their environmentally-conscious products and programs. Activities reflect how interests intersect with time and spending habits — how people spend their time and money. They include things like running, reading, and cooking. For example, sporting goods stores already target people who enjoy outdoor activities. However, psychographic marketing allows them to target niche or specific outdoor activities by creating targeted ads for people interested in activities like backpacking, biking, and rock climbing. You can also identify major trends that allow you to tailor marketing materials and content to your audience. This will help you create content people want to read, and it will boost online engagement with your brand. Consumer opinions can impact their purchase decisions, so it’s important to understand their thoughts on your products, services, business, industry, competitors, and more. For example, if a large portion of your target audience values environmentally-friendly products and services and your offerings aren’t environmentally-friendly, you’re likely going to have a problem. On the other hand, if you are an environmentally-friendly company, you can tout that fact in your site content and ads. Similarly, you’ll have better luck marketing premium products to people who prioritize luxury lifestyles. If you find that the majority of your audience values budget-friendly alternatives, you can adjust your offerings and messaging to better resonate with them. Understanding what matters to your target audience allows you to motivate people to buy. In addition, combining psychographics with behavioral data helps you pinpoint where your target customers spend most of their time online so that you can invest more time and money into marketing on those channels. Overall, psychographic segmentation plays a key role in helping you reach your most valuable customers. With PersonalizeFX, part of our MarketingCloudFX suite for clients, you can customize site content based on a visitor’s browsing history, stage in the buying process, and other behavioral factors. Our team of specialists has more than 20 years of experience, and we’ve generated $1.5 billion in revenue for our clients in the last five years. If you want to improve your campaign targeting with psychographics, we can help. Incorporating psychographic segmentation into your marketing strategy will help you tailor your offerings and messaging to reach ideal customers. Ready to learn more about how psychographics can help you reach more customers? Contact us today to speak with a strategist, and start driving results with your digital marketing!